Freshly baked pizza from our Japanese oak wood-fired brick oven. We use only Japanese oak to keep the high temparature in the oven. Japanese oak burns for a long time. The bricks are piled up in the shape of a dome to keep radiant heat inside. “La locanda del pittore” means in Italy “The inn of the painter”. 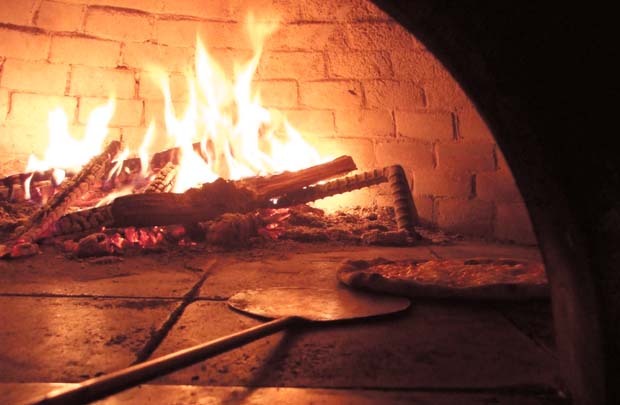 The Pizzaiolo of Pittore draws pictures on the wall of the Restaurant, he decorates the pizza plate, cuts trees and split firewood, plow a field and harvest it, kneads the dough by hand and flattens it and confronts the flame of the oven to bake the pizza. Those all acts are working in Pittore. A pizza from Pittore is the harmony of the pizza dough and it’s fresh ingredients. For example “Aglio” is only tomato source and garlic but the balance is exquisite ! “Marinara” with anchovy, “Picante” with red pepper, “Margherita” with cheese added. Please taste the difference and ballance of each ingredients. Hello, my name is Isao Tsuji. My arms are short and big. With this arms I split firewood, work on pizza dough, and bake every pieces of pizza with a lots love. 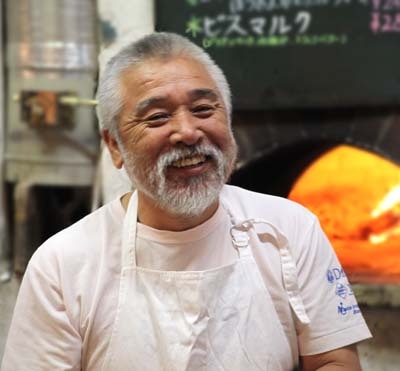 My name includes one chinese charactor that means Italy inJapanese, I realise that it is a mission for me to create pizzas. -In 1952 : I was born on April Fool’s Day. -In 1974 : I started to travel around the world as a backpacker. -In 1976 : I started to work at “Al Pittore” in Como Italy. -In 1980 : Pizzeria La locanda del pittore in Iwappara was opened. 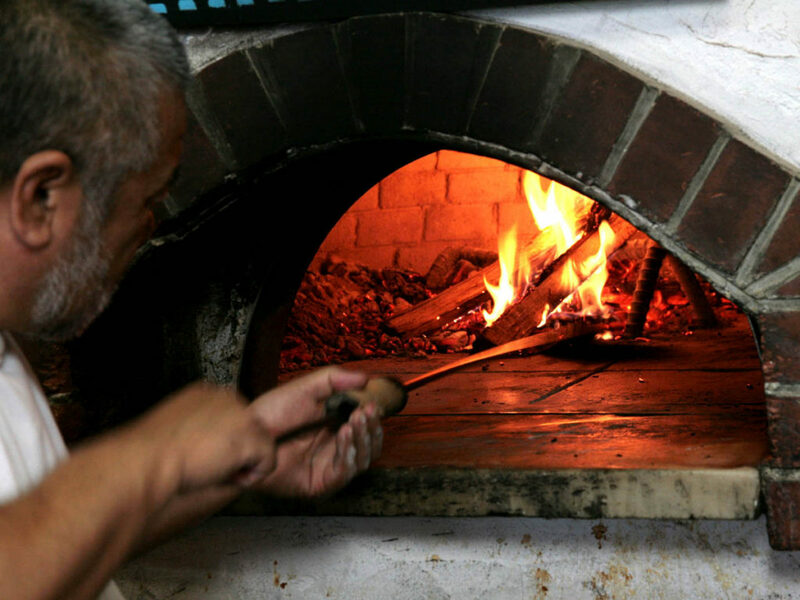 -In 1999 : Taverna Vicini that is the wood-fired brick oven baker and restaurant (Niigata) was opened. -In 2003 : Pizzeria Pittore in Lake Toya (Hokkaido) was opened. -In 2007 : Ristorante Pizzeria Alpina was opened. -In 2007 : Pizzeria Pittore Karuizawa was opened. -Up to now : I bake pizza and bread at Pizzeria Pittore in Iwappara (Niigata) , in Lake Toya (Hokkaido) , Karuizawa(Nagano),and Taverna Vicini (in Niigata).